Are you interested in contributing to the club website? 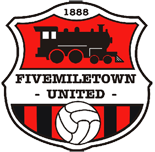 Maybe you are a young budding journalist who has things to say regarding grassroots sport in Fivemiletown or even in Northern Ireland itself, Maybe you are a ‘Town’ supporter and would like to have your say on how things are going (and how to put things right) or perhaps you have some club memories you want to share about your time playing/managing at Fivemiletown united. Or if you prefer face 2 face at any first team home game just ask to speak to the club Chairman or Secretary. It’s your club, have your say.